Schedule midweek meeting of Jehovah's Witnesses. Is there a better alternative to My Life and Ministry? Is My Life and Ministry really the best app in Religion category? Will My Life and Ministry work good on macOS 10.13.4? My Life and Ministry is a tool to help with the midweek meeting of Jehovah's Witnesses. 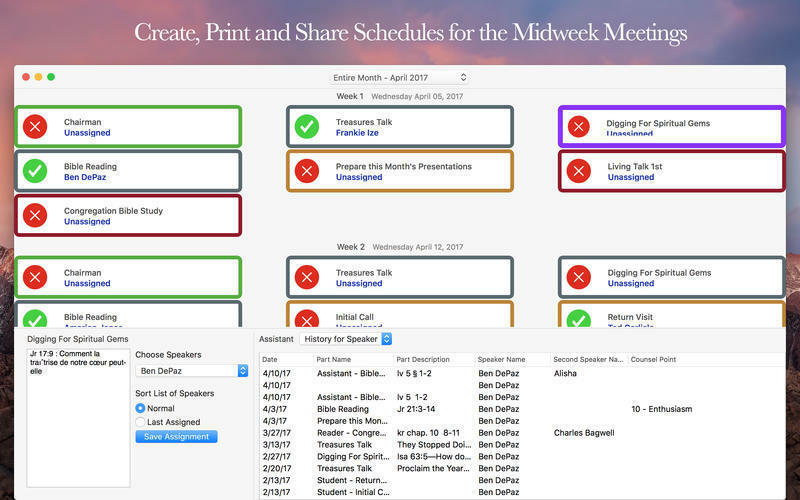 This app has full scheduling capabilities for the meeting and timers to keep track of the meeting and individual part times. 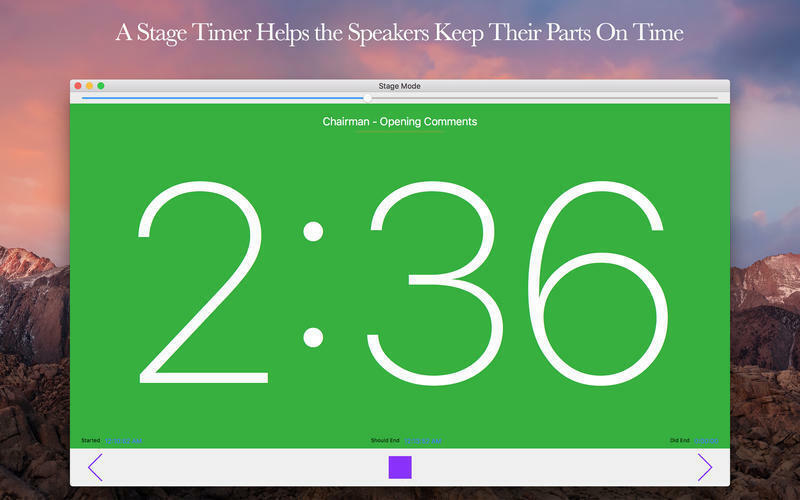 In addition to timing and scheduling, there is a "Stage Mode" that lets you use the app as a stage timer. My Life and Ministry needs a rating. Be the first to rate this app and get the discussion started! There are two editions of this app: Basic and Premium. The basic edition is free of charge and includes the timer and the stage mode. 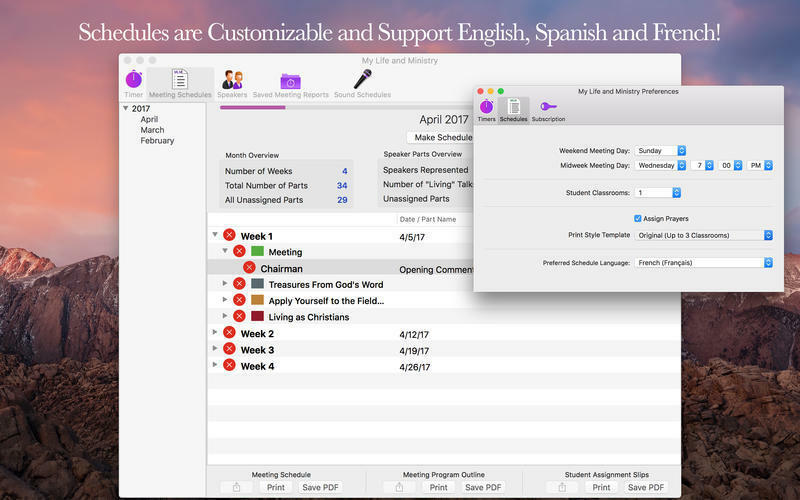 The premium edition is a subscription and unlocks the scheduling capabilities, cloud syncing and permanent records of times for the meetings and for each individual speaker. Automatic cloud syncing keeps your app up to date across all of your devices, including devices running the iOS version of the app! The premium edition also includes more advanced features for the timer, such as remote controling and monitoring it from an iOS device, and when the meeting is going overtime, an indicator shows how many minutes the meeting is falling behind schedule. 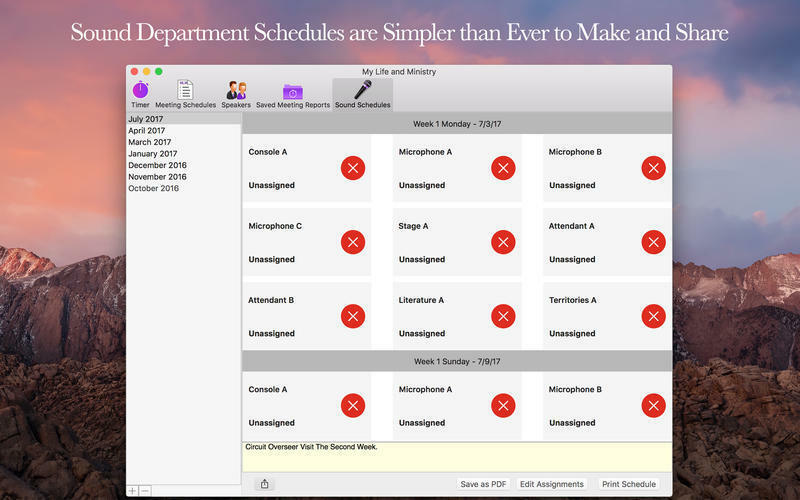 Also included with the premium subscription is the ability to keep track of each speakers' statistics, in order to assist with scheduling future assignments. To upgrade to the Premium edition, click "License" in the menu bar.